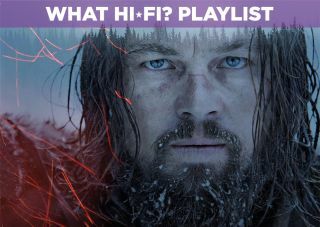 The Revenant – 4K Ultra HD Blu-ray review | What Hi-Fi? Whether you end up liking or disliking The Revenant, at the very least you can be thankful it's the film that put the ‘Will Leonardo DiCaprio ever win an Oscar?” meme to rest. DiCaprio stars as Hugh Glass, an American frontiersman guiding a group of trappers led by Andrew Henry (Domhnall Gleeson) through uncharted territories on a hunting expedition. After the group is attacked by Native Americans, Glass's abilities come under question. He survives an attempted murder by John Fitzgerald (Tom Hardy), but when Glass is later attacked by a grizzly bear, the group leaves him for dead. Glass then has to cross the wilderness alone, surviving the cold and evading the Arikara tribe that are out to kill him. The Revenant is bleak and visually brilliant, but on the whole it's a little boring. There’s plenty of tension, but it exists in a historical, factual way rather than in an emotional one. Neither Glass, Henry or Fitzgerald have significantly rounded characters to warrant caring about. Even when Glass’s son is murdered by Fitzgerald, there’s still a lack of emotional drive to enthuse the audience, and Glass’s successes, or struggles, ultimately have all the sentiment of a Wikipedia article. But if this doesn't make you want to pick up the UHD Blu-ray version of DiCaprio’s ordeal, the film's cinematography and scene construction might tip it in your favour – because this movie looks good in 4K. Originally filmed in 6K, The Revenant was then downscaled to 4K, so it should have a fair amount of detail packed into its package. We play it through a five-star Samsung UE65KS9500, alongside the Award-winning Panasonic DMP-UB900 4K Blu-ray player, and there is certainly a spectacle to be had. It's an impressive feat for a film with a colour range so heavily focused on browns and greys. To make the most of this film visually, you’ll want a TV that can handle the subtlety within that end of the spectrum. When the Arikara attack, the close-ups of Andrew Henry reveal a range of tones in his fur that lesser televisions might miss. There’s also a dynamism to it too. The splattering of mud that’s kicked up as the men run to their defensive positions is a good test of how your TV and Blu-ray player can handle movement. And in terms of insight, there's distinctly more detail on the layered furs and aged trees on the 4K disc than on the 1080p Blu-ray that comes with it. Your TV shouldn’t shirk away from a rich image either, whether it’s in the stunning landscapes of Fortress Mountain in Canada, or in the more intimate scenes. The explicit contrast of colours near the end of the film, where DiCaprio guts a horse in order to stay alive, needs to be striking. The delicate white of the fresh snow and the red of the bleeding horse stand out notably against the pale grey-orange hue of the frozen Glass. On the sound side, however, The Revenant has a soundtrack that airs on the atmospheric, rather than something suitable for testing your system. Rather than the large-scale dynamics we're used to in Hollywood blockbusters, this movie focuses more on the small scale: woodwinds, strings, and other instruments to create an eerie sense of space. There's also heavy use of diagetic sounds (ones that comes from the narrative of the film) - such as the rustling of trees, or the clean cuts and crunches of severed limbs and ripped-off ears as Fitzgerald and Glass scuffle in their final fight. It's not the best film for trying out the punch or organisation of your hi-fi setup - there are very few times that the soundtrack gets particularly busy - but if you're looking for spaciousness, detail, and precise dynamics then this is a pretty good shout. If you’re looking for something to show off a high-end television, then you’ll enjoy The Revenant. Director Alejandro González Iñárritu has put together a breathtaking spectacle that, in its contrast of gritty survival and calm dream sequences, will no doubt look good on your television. However, those who want for an light, enjoyable watch in UHD might want to give the Blu-ray a miss - this brand of death-defying, grudging endurance film isn’t quite everyone's cup of tea.